With the same size but even more power - 250 A continous current! 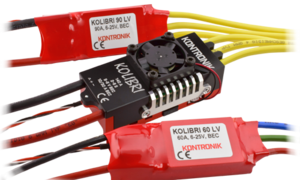 The new KOLIBRI series with integrated telemetry functions. 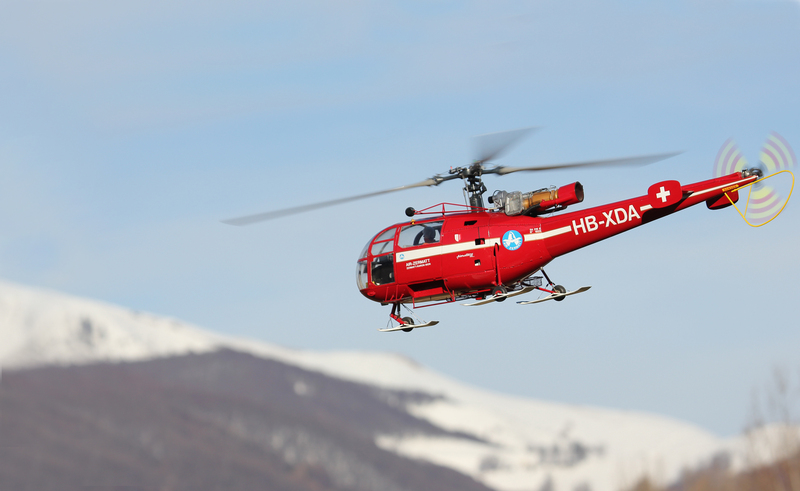 The new TDSF from Henseleit is the new lightweight among the 700-series helicopters. 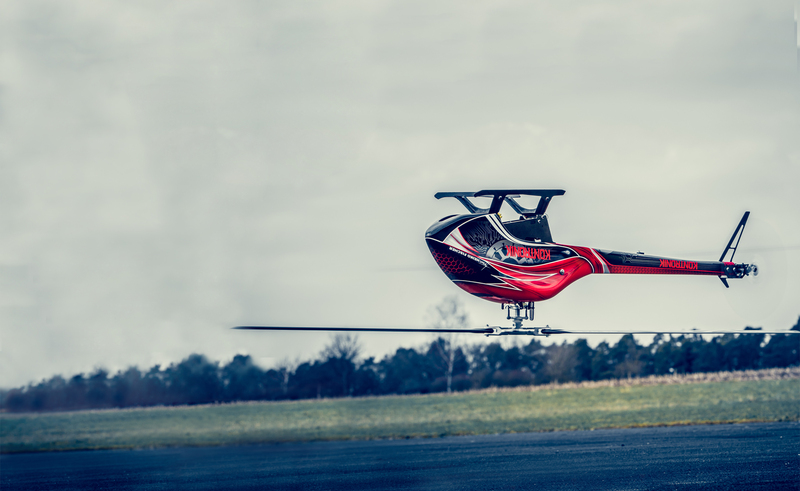 With a take-off weight of 2,400 g it is lighter than some 500s models. The drive set, consisting of our new MINIPYRO 400-10 and the powerful KOLIBRI 90 LV, also contributes to this. 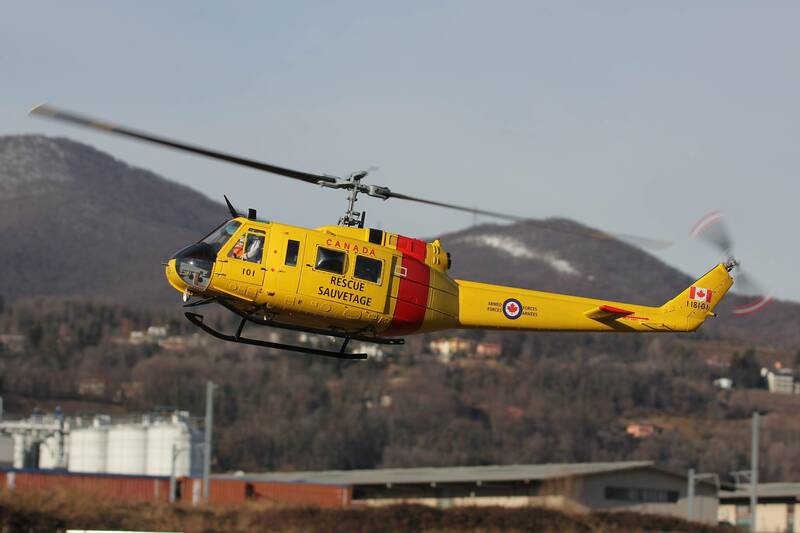 Based on the COOL KOSMIK 250 HV, we have developed two variants with special cooling concepts. 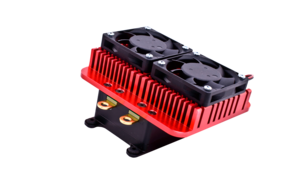 Thanks to these cooling concepts, these regulators crack the 300 A limit with ease. The DuoCOOL KOSMIK 300 HV has a larger heat sink on which two fans can be mounted. Thus, this controller is best suited for e.g. Scale applications or bigger planes. The WaterCOOL KOSMIK 300 HV has a built-in water cooling system. The cooling water runs through the integrated cooling plate. Inlet and outlet have an outer diameter of 5.5 mm. 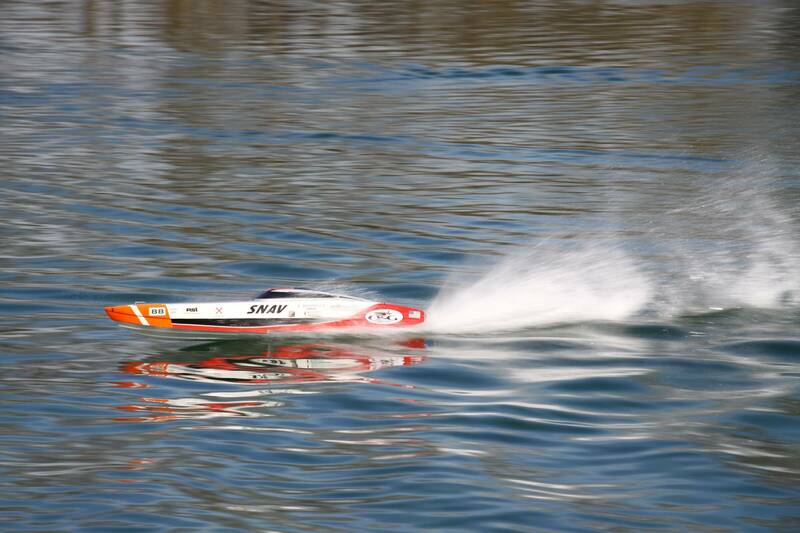 This makes the controller very well suited for applications in boats. 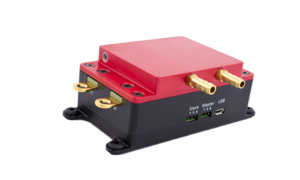 We are expanding our controller portfolio for UAV applications. The multiple world champion in F3N, Eric Weber shows you how to connect the Bluetooth module with an iOS / Apple device. The new software allows the use of the updated Data Explorer for reading the data of the SD card. The Data Explorer now supports Java runtime environments from Java 8 to Java 11. We have developed two new variants of our KOSMIK with special cooling concepts. Thanks to these cooling concepts, these regulators crack the 300 A limit with ease. 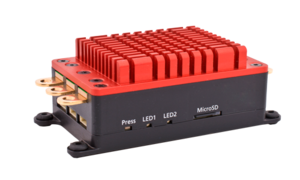 We are expanding our controller portfolio for UAV applications. 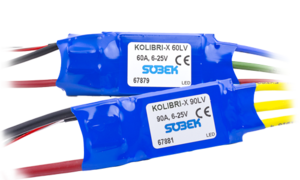 The KOLIBRI-X 60 LV and the KOLIBRI-X 90 LV complement the KONTROL-X series, which covers outputs from 30 A to 55 A.